When I teach nonfiction, one of my favorite essays to reference is Lisa Knopp’s Brevity essay, “‘Perhapsing’: The Use of Speculation in Creative Nonfiction.” During my MFA program, Knopp’s essay was prominent in my thoughts as I learned how to read and write “invented” spaces—places where imagination and speculation must be added to flesh out meaning. But now, years later, I feel compelled to explore, in both my reading and my writing, nonfiction that pushes back against the invented spaces of perhapsing. What’s paramount in my mind is the reader-writer contract: when a reader comes to nonfiction, he or she does so with the expectation that what they read is true. This contract leads me to questions that drive most of my writing these days — what happens when the essay becomes an act of investigation, where the reader must pause and ask: what is true and what is not? How much bending can the genre of nonfiction do before it breaks and becomes fiction? And how can we, as writers, experiment with speculation and imagination in ways other than perhapsing while still upholding the reader-writer contract? According to Martin, split-toning may be adapted to describe a vast range of stylistic presentations in nonfiction, but I like to think about split-toning as a change in language and narrative voice. At some point in an essay, a writer’s language will shift and become noticeably different in the places where he or she takes liberties or where genre-bending and speculation/imagination occurs. Take, for example, Elissa Washuta’s hybrid memoir My Body is a Book of Rules. In the chapter “Note,” we’re presented with a text “penned” by Washuta’s psychiatrist, a document Washuta can carry with her “as proof of her diagnosis and treatment as she prepares to move from Maryland to Seattle.” Though a footnote appears at the end — “With edits from Elissa Washuta, 11/13/2007” — the language of the piece itself clues us in as to how much the original text was altered by Washuta. A split-toning at the level of language and tone occurs, a change in register: moving from the formal, emotionally distant writing of the real psychiatrist to the more personal, emotionally invested writing of Washuta. The piece begins in a rather professional and clinical first-person point-of-view: “The patient was first seen at the University of Maryland Mental Health Clinic in August of 2006 for the symptoms of severe anxiety and depression….” This tone and language continues until the end of the fifth paragraph, when we encounter this sentence: “I disclosed to the patient that she was my favorite patient.” There is a change in tone: a hint of inappropriateness that contrasts sharply with what came before. This is not the voice of a trained professional who maintains emotional distance; this is the voice of someone who is choosing to inject emotion into a medical record typically devoid of such commentary. This shifting continues throughout the rest of the chapter, with single sentences that reveal something intimate about the psychiatrist’s relationship with her client, and through these slips of admission, we come to see not only Washuta’s invented and imagined spaces, but we also gain a sense of how she perceived herself at the time and how she perceived her relationship with her psychiatrist. This blurring of character delineated by split-toning is a method Washuta employs to invite us into the text in a way that traditional narrative essay may not or cannot. For example, when a bulk of the chapter is in the voice of the psychiatrist, readers are allowed to question what makes a diagnosis “valid,” and it further asks us to consider how the author views herself in relation to treatment through the eyes of someone other than herself. I’ve been asked by a friend I admire, a friend who writes primarily fiction, why moving beyond perhapsing matters. I’ve suggested, as it pertains to my life and Washuta’s life, that it opens a space of exploration for neuro-atypical writers to explore how they experience the world without having to answer questions of truth and fact. The subtle manipulation allows narrative flow while preserving the author’s emotional experience. But split-toning can also be useful for those who are interested in experimenting with, and pushing back against, genre conventions. After all, many authors write first and foremost for themselves, and if your history with writing has been anything like mine, at some point you might feel the emotional urge to write something different, not only to explore your styles and preferences as a writer, but because each essay demands its own shape and style of telling. Some experiences might require different tools to excavate them. Select an essay of yours (in draft form) that, at some point, uses speculation to explore either what is unknown or what is imagined. Reading over your draft, define your narrative voice and the types of language and syntax you use. Is the narrative voice meditative? Scholarly? Humorous? How do your sentences feel? What are your sentence patterns? How much description do you use and, when present, how does your description echo your existing narrative voice? Once you establish these patterns, you can try employing a split-tone to signal your reader to speculative spaces. Try changing the narrative voice and language in the sections where you’re imagining or speculating; use a voice or language that isn’t present in the rest of the essay. Gwendolyn Edward’s nonfiction has earned nominations for the Pushcart and Best American Essay. Her nonfiction, fiction and poetry have appeared in Assay, Crab Orchard Review, Fourth River, Bourbon Penn and others. 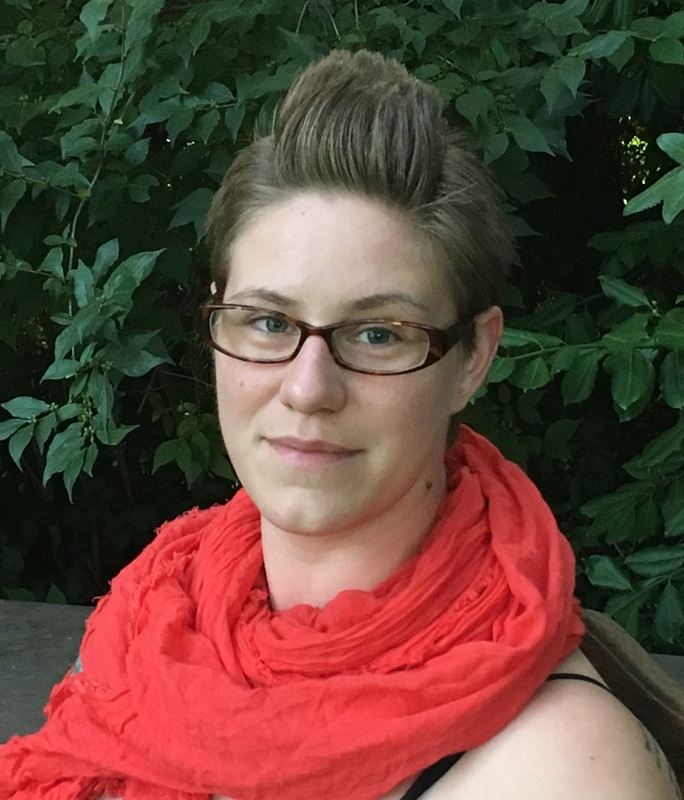 She retains an MA in nonfiction from the University of North Texas and an MFA from Bennington College, and she is currently pursuing a Ph.D. at the University of Missouri. She specializes in genre-bending. “My Body is a Book of Rules” which I look forward to reading. Thanks for this essay which I’ll be using in my teaching! Illuminating! Never occurred to me that “perhapsing” has options. Thank you for a powerful technique to add to the craft toolbox.